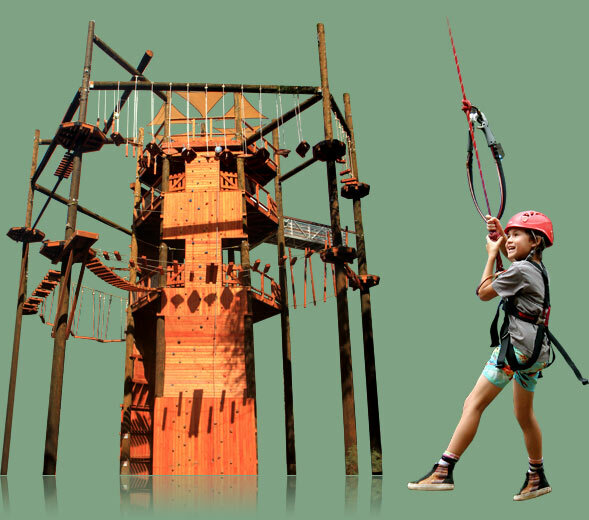 Yeah you get it ALL: 6 Ziplines, King Swing, Freefall, Climbing Wall, Aerial Adventure, Madmax Off-Road Adventure. Those who aren’t afraid to experience all the thrills that Coral Crater Adventure Park has to offer are just the right candidates for our Ultimate Adventure Package. This really is the most exciting tour you’ll find. 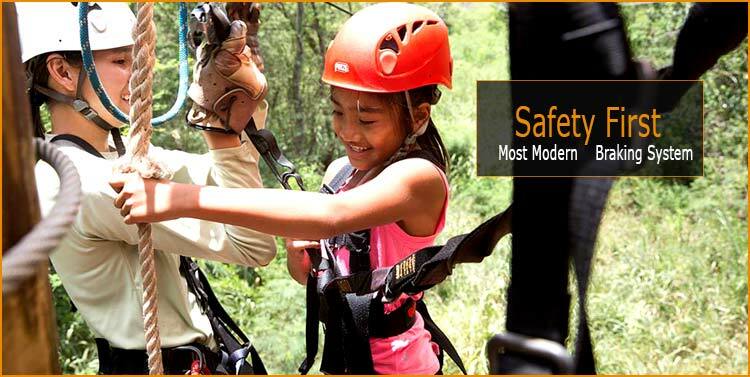 It includes not only our complete range of six high-flying ziplines, but also an awesome selection of other adventure activities will make your blood rush a little faster during this tour. All six of our ziplines are included in the Ultimate Adventure Package. Try them all and pick your favorite from the lines that range between 300 and 900 feet. The highest lines take you soaring above the tropical canopy of trees like a bird in flight. Remember trying to swing higher and higher on the playground when you were a kid? Now you can feel that high again. Our giant swing allows you to take your playtime to another level! Experience the feeling of falling freely from great height! This adventure offers you all the adrenaline rush without any of the risk. Enjoy the ultimate rush on this heart-stopping activity. Challenge your friends and yourself to a climb straight up the wall. Our climbing wall offers easy to difficult routes for big and small adventurers. Do you dare to make it all the way to the top? We’ll see you there! 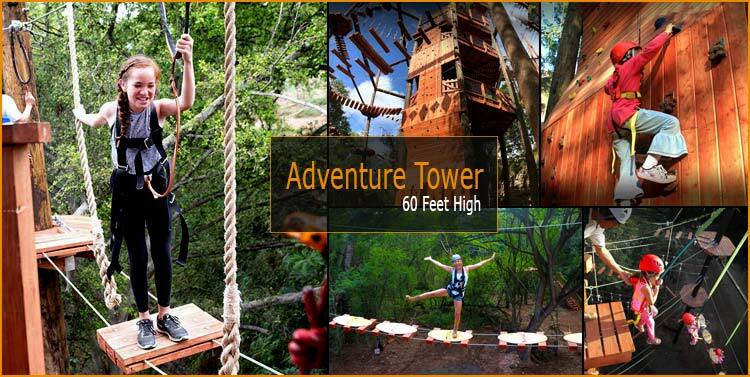 Our Aerial Adventure Tower welcomes you with one challenge after another high above the stunning landscapes of Oahu. Test your balance and nerves as you unleash your inner ninja. Don’t forget to take a moment on the rest platforms between challenges to appreciate the panoramic island view you can catch from this height. Now that you’ve had a good look at the treetops of Coral Crater, how about a tour underneath the green canopy? The Off-Road Adventure is included in our Ultimate Package. 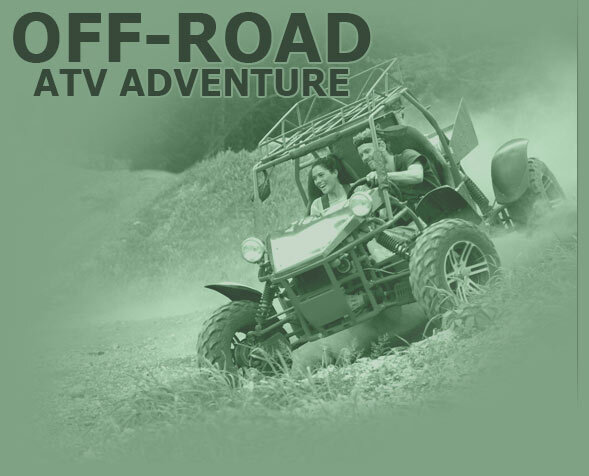 See Oahu’s lush green jungles from the best angle as you race down a muddy track with our ATVs. Don’t be afraid to get a little dirt on you as you race your friends down the jungle path. This all-day combo is ideal for adventurers who don’t want to miss a thing. Situated just a short distance from Honolulu, Coral Crater is easy to reach and surely one of the most thrilling experiences Oahu has to offer. Families, friends and couples alike enjoy this extraordinary playtime. You're sure to make some unforgettable memories while you're here.